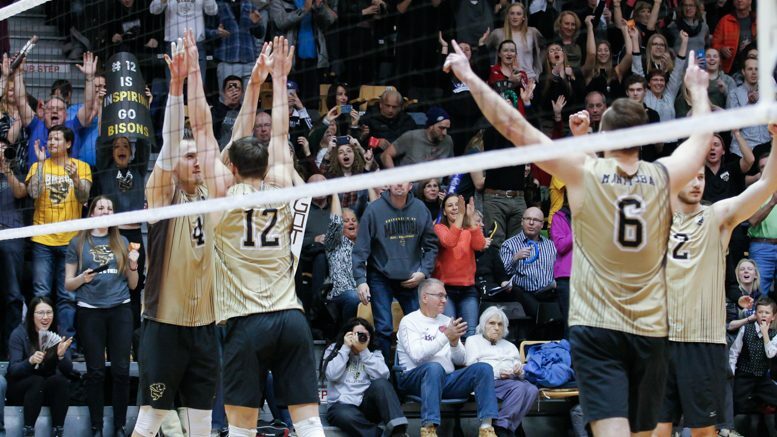 This weekend, the University of Manitoba men’s volleyball team played host to the Canada West Final Four. They started the weekend off with a 3-0 win versus the UBC Thunderbirds in the semi-final, and lost a close battle 3-2 in the final on Saturday against the Trinity Western Spartans. The Bisons and the Thunderbirds took to the court on Friday night for the first semi-final of the Canada West Final Four. Manitoba came out 3-0 match winners after a competitive game. A tightly contested first set opened with four missed serves by both teams. The Bisons’ play off the serve was the story of the first set as they made eight service errors and gave up two service aces. The Bisons managed to take a 16-11 lead into the technical timeout and held that lead to win the opening set 25-22. In the second set, the Bisons opened the floodgates a little bit, doubling up the Thunderbirds by the technical timeout. Luke Herr came up with three huge digs in a set just before the technical timeout that had the 2,200 fans at the IGAC roaring. The Thunderbirds managed to claw their way back in the latter half of the set but the Bisons escaped 25-22 set victors after Cam Fennema botched a serve. The third set was more of the same with the Bisons leading throughout. 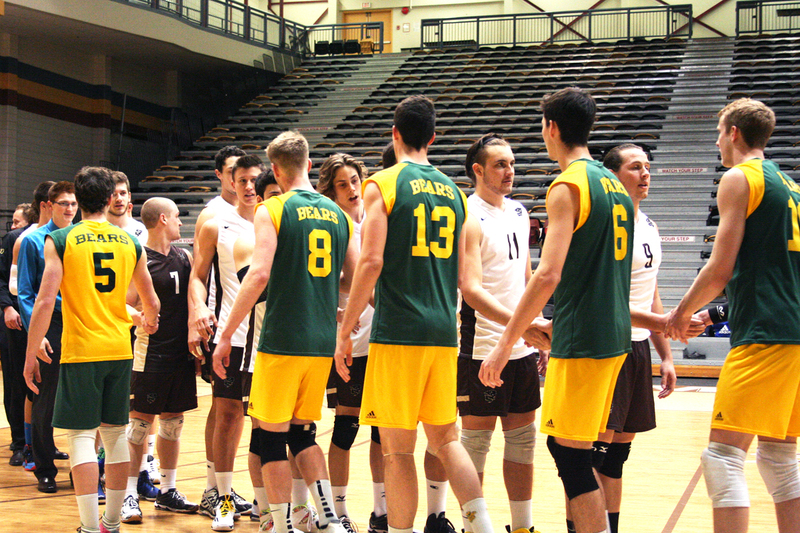 Ken Rooney gave the Bisons a 16-11 with a massive kill that sliced through UBC’s block. Manitoba cruised to a 25-17 third set win to sweep the UBC Thunderbirds and earn a spot in the Canada West final. Devren Dear, who finished with a game-high 13 kills said that they were able to shut down UBC’s attack. 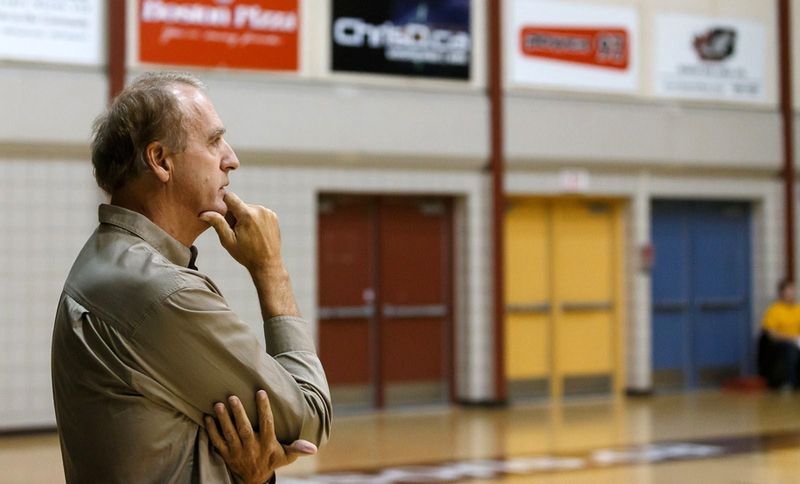 It was a rematch of the final game of the regular season between the first-ranked Trinity Western Spartans and the second-ranked Bisons for the Canada West final. In the closest way this match could’ve finished, the Spartans won in five sets against the host Bisons. The first set was a seesaw affair, with the teams exchanging the lead. The Spartans were able to pull ahead late after some service aces, and Canada West Player of the Year Ryan Sclater then hammered home the set-winning kill. Sclater was named the Canada West MVP of the Final Four tournament. In the second set, it was yet again another back-and-forth affair, with neither team able to go on a big run. The set needed some extra time, with usual suspect Dear making the score 29-27 to win it after a 44-second rally. Dear finished with a team-best 17 kills and a .130 hitting percentage. Manitoba was fired up for the third set, jumping out to a 6-1 lead, prompting a Spartan timeout. The herd never looked back from there, fueled by the raucous crowd at the IGAC, the Bisons took the third set 25-16. In the fourth set, the Spartans turned the tides and dominated the proceedings. The Bisons managed to make it close with some good serving, but the Spartans sent it to a fifth and final set with a 25-20 victory. The Spartans grabbed hold of the momentum in the fifth set and took it 15-9 to win the Canada West championship. The Bisons will head off to the University of Alberta for the U Sports volleyball nationals in Edmonton on March 17-19.